I read anything but mostly horror, fantasy and science fiction. I don't read YA except it's written by an author I really like. 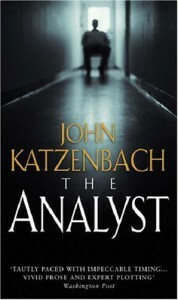 This was the first Katzenbach book I read and it was really good. I never heard of this author prior reading this novel but it was a birthday present and the premise looked really interesting: a psychopath who calls himself Rumpelstiltskin, threats doctor Frederick Starks saying that he has to figure out his identity in 15 days or he will kill somebody from the doctor's family. The only way to stop Rumpelstiltskin from killing is to win the game or that the doctor commits suicide. It was a great read. The book is fast paced with lots of mysteries and nice plot twists that kept me reading non stop, towards the half it slows down a little bit but luckily Katzenbach quickly picks up the frantic rhythm of the first chapters reaching a very good ending. Even though I sort of figured out who Rumpelstiltskin was before finishing, it didn't stopped me from enjoying this book because what really interested me was to know if the doctor could survive this wicked game. Another thing I really liked is how the author describes the psyche of the different characters and the deeper implications of the game planned by Rumpelstiltskin, also the villain was great because of his determination to destroy doctor Starks's life. With this kind of books I always have the concern that the ending can be stupid or far fetched, fortunately this wasn't the case. Without being a mind-blowing ending (at least for me) I found it to be satisfactory and it wrapped up the book perfectly. So, if you're looking for a fast and exciting psychological thriller this book can be good for you. I breezed through the second half desperate to know how the story would end and it didn't disappoint me. 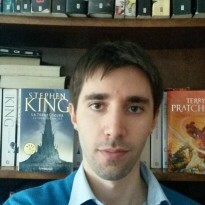 I'll definitely read more books by this author in the future.